Bill Clinton Created This Terrible Corporate Loophole. Will Hillary Close It? 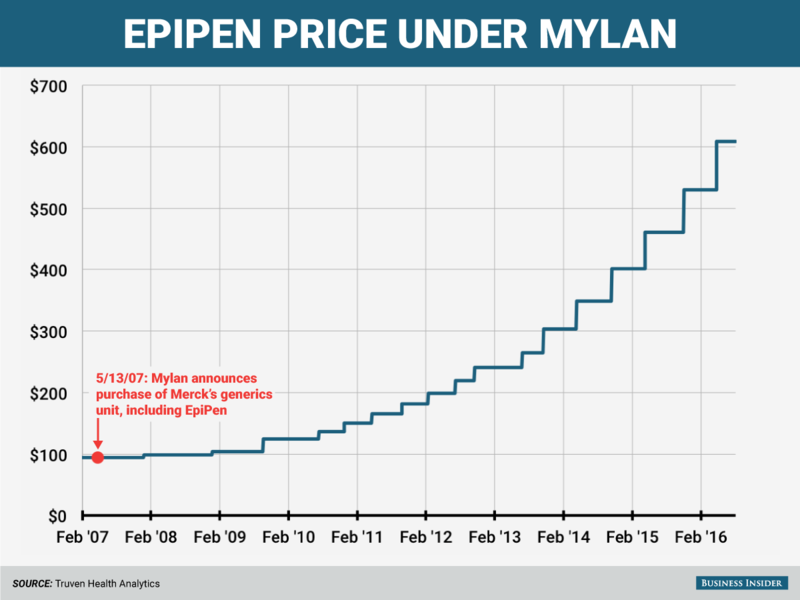 This could explain why your EpiPen two-pack costs $600 today, versus half that amount in 2014: A drug executive’s bonus might depend on it. The Mylan case is an example of how performance-based pay can end up hurting customers while fattening executives’ wallets. For the last two decades, the government has encouraged these kinds of schemes through a lucrative tax break that gave corporations incentives to focus on their firms’ stock price rather than their core business. A new report from the Institute for Policy Studies (IPS) shows how companies continue to exploit this loophole, costing taxpayers tens of billions of dollars and undermining the economy. The policy goes back to Bill Clinton, who campaigned for president on rolling back excessive CEO pay, which according to the Economic Policy Institute jumped from an average of $1.49 million in 1988 to $4.9 million in 1992 (adjusted for inflation). At the time, companies could deduct all of their compensation from their corporate taxes, as a normal business expense. Clinton’s idea was to cap that: No corporation could write off an executive’s salary above the first $1 million. This measure passed in Clinton’s first budget in 1993, and became section 162(m) of the IRS tax code. But there was one exception. Companies would still be allowed to deduct compensation for high-earning executives if it was deemed “performance” pay. So if you paid a CEO with a bonus, then you could deduct it all. And that bonus could be composed of stock options, so that the executive’s compensation rose along with the stock price. Predictably, base salaries for CEOs and top executives froze, and bonuses took off. Overall compensation soared. If the idea was to reduce executive pay, it failed. In 1992, total compensation for CEOs at the top 350 firms was $4.9 million, according to the IPS study. By 2000, the end of the Clinton administration, it was up to $20.3 million, an increase of over 400 percent. And this has only gotten worse. According to the Joint Economic Committee, this exception for performance pay costs taxpayers $50 billion over a ten-year budget window. And that could be growing, as companies shift CEO pay into stock options and performance-based measures. By 2010, “performance pay” comprised 55 percent of deductible executive pay. The policy didn’t work to make companies any better or boost the economy, either. Clinton’s idea was to tie executive pay to performance, so CEOs would only be rewarded if their companies did well. But basing performance on the stock price created perverse incentives because stocks don’t necessarily correspond to the actual success of a business, or the creation of jobs and investment. You can use various schemes to artificially boost the stock price, like offering shareholders dividends or buying back millions of shares of stock. Shareholders will reward companies that cut labor costs to increase profit margins, or those that hoard cash instead of engaging in capital investment. Some of this behavior can even be reckless. In reaching for short-term profits, companies often turn to skirting the law or hurting consumers. The performance pay loophole gives taxpayers the worst of all possible worlds. Corporations get expansive tax breaks on the stock options of their executives, reducing money to the U.S. Treasury. And those same corporations use financial maneuvering and short-term thinking to goose their stock price, often at the expense of their own workers. But the thing is, we know how to get rid of this policy: We did it for a select group of firms in 2008. As part of the bank bailout, the Troubled Asset Relief Program (TARP) required financial institutions receiving government funds to cap deductions for their executive compensation at $500,000, down from $1 million, and it did not include the performance pay exception. This was one of several restrictions on executive pay that accompanied the bailout. In fact, it’s one of the reasons why banks moved heaven and earth to repay their TARP funds, so they could return to the executive pay status quo, “like junkies desperate for a fix,” as the IPS puts it. And the data in the report show that these banks went right back to exploiting the performance pay loophole after getting out of TARP. The top 20 U.S. banks paid over $2 billion in performance pay bonuses from 2012 to 2015. Because all that money was tax-deductible, those 20 banks got a $725 million subsidy over this period (based on a 35 percent corporate tax rate). Wells Fargo checks in as the largest abuser of the loophole, giving out $456 million in performance pay bonuses—$155 million of which went to their CEO, John Stumpf. American Express and Goldman Sachs handed out over $200 million, and Discover, PNC Financial, Capital One, Bank of America, and US Bancorp all hit the $100 million mark. So we have an executive pay “cap” that doesn’t cap anything, just shifts money from salary into stock options. That creates a short-term mentality and increases economic risk to consumers and taxpayers. Plus, Congress actually passed a fix, but it wasn’t built to last. The question is, will Hillary Clinton make it a priority to reverse the messed-up system her husband created?